“What are you driving this week, Andy?” inquired one of my co-workers. 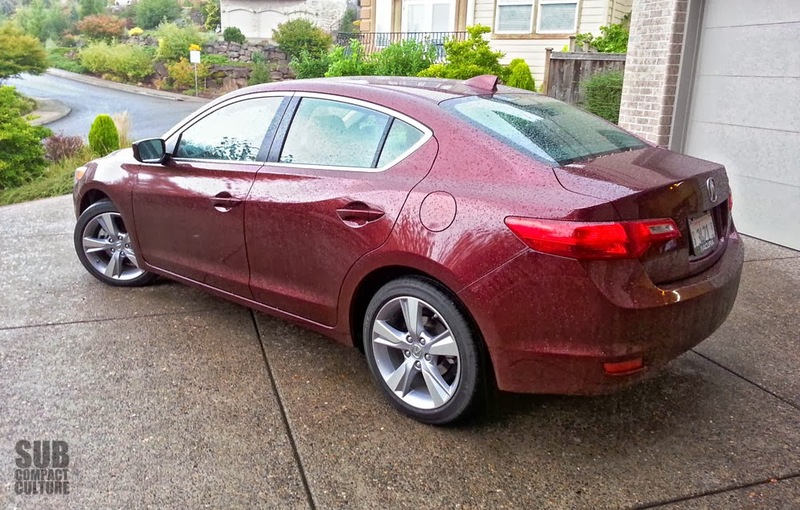 “I’ve got the 2014 Acura ILX,” I said. “ILX? So, what kind of car is it?” they asked. I’ve reviewed the ILX in the past, but it was the 2.0-liter model with the automatic transmission. This combo felt somewhat underpowered and certainly wasn’t enthralling to drive. This 2.4 liter model with the magnificent six-speed manual is much more inspired. It’s more than just a Civic in a tuxedo. It’s a Civic in a tuxedo wearing running shoes drinking Red Bull. Instead of the tepid 2.0-liter engine which only made 150 horsepower (and is only available with the slushbox), this ILX with the 2.4-liter powerplant makes 201 horsepower thanks to its i-VTEC engine from the sporty Honda Civic Si. This mill is an absolute joy to rev, but unlike many compact Hondas/Acuras of yesteryear, this one has usable torque to the tune of 170 ft/lbs. The aforementioned six-speed is truly fantastic, just like it is in the Civic Si. It is also the only transmission available if you want the 2.4. The action is smooth; the gates are well defined. The throw isn’t too long, and the whole thing feels exacting, precise, and solid. What the ILX doesn’t have, however, is the Si’s useful limited-slip differential and stiffly sprung suspension. This means that if you drive the ILX as spiritedly as you would its more athletic Civic Si cousin, you’re met with one wheel that loses traction quite easily, more understeer, as well as more body roll. However, the ILX does deliver a superior ride compared to the Si in addition to a host of more luxurious features. It’s also a good deal quieter, especially under full giddyup. Rated at 22 city, 31 highway, and 25 combined MPG on premium fuel, the ILX isn’t the most frugal car on the market. But I’d say it’s a good balance of performance and fuel economy. Those looking for big MPGs should probably opt for the ILX Hybrid. I still think the ILX is a good looking sedan; it’s more handsome than the Civic, especially in the Crimson Garnet finish. The lines are cleaner; the whole look is more cohesive and pleasant. Like any proper luxury vehicle, this ILX was equipped with the optional xenon headlamps as well as fog lights, both part of the Premium Package. The interior is also quite well appointed. The comfortable heated leather seats, navigation, eight-way power driver’s seat, seven-speaker sound system, and minimalist styling create a very pleasant environment. Many of the controls are very Acura-esque, including the center stack with the large knob in the middle. Thankfully, unlike some of the previous Acuras we've reviewed, most functions are simple to perform and only require minimal hunting and pecking on the dashboard. 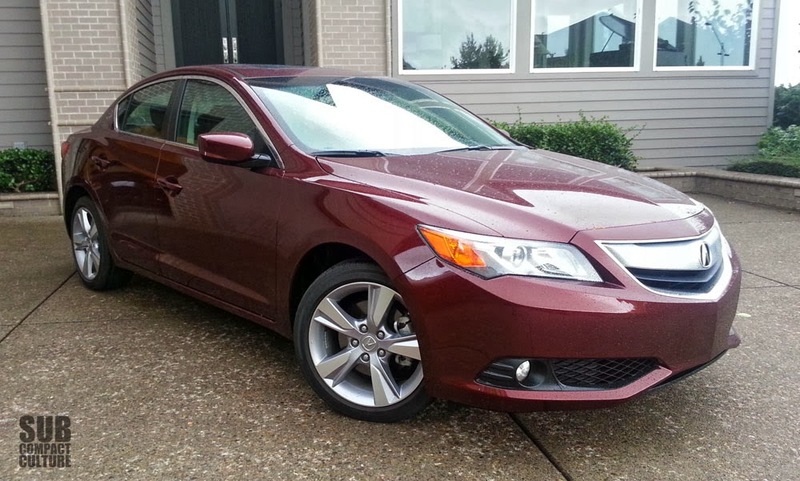 This ILX Premium has an MSRP of $29,200 including delivery costs. This can be looked at in a couple of ways. You’re either getting a Civic in a tuxedo, or an entry-level Acura. However, I believe the person buying an ILX Premium with the 2.4-liter engine and six-speed manual is likely someone who wants an affordable luxury vehicle that’s still fun to drive. 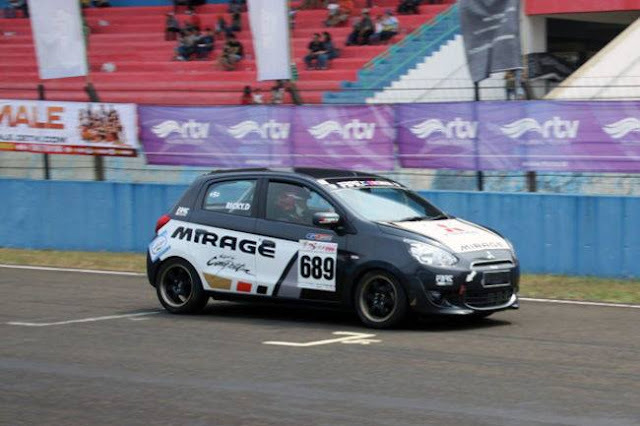 They don’t want boy-racer styling and aren't looking for racecar-like handling. 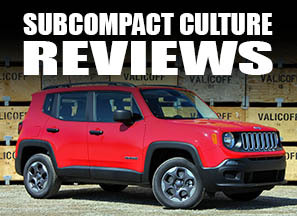 However, they still value a great powertrain and a solid build quality. Plus, they want halfway decent fuel economy and a compliant ride all wrapped up in a good looking, compact package. If this sounds like you (and you don’t need the limited slip differential of the Civic Si), the ILX is definitely worth a look. Tuxedo not required.